New visitors can be very suspicious of your store. Are they going to get scammed? Does anyone else order from here? 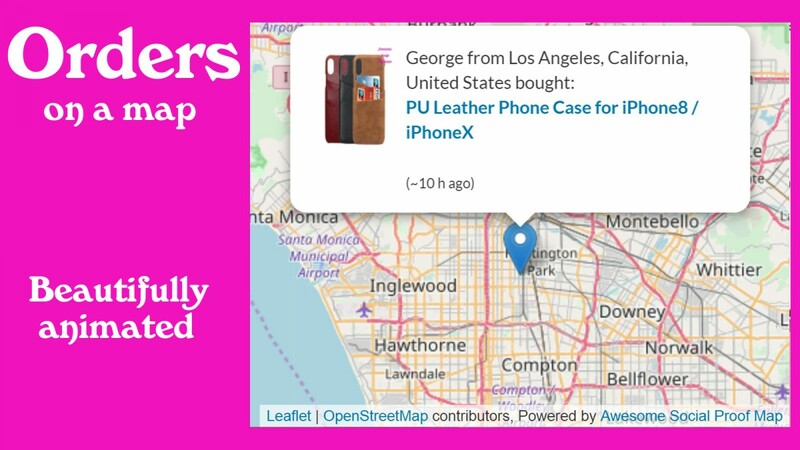 Awesome Social Proof Map helps you with that - it shows real orders placed by real customers from real cities. On a gorgeous, animated map. 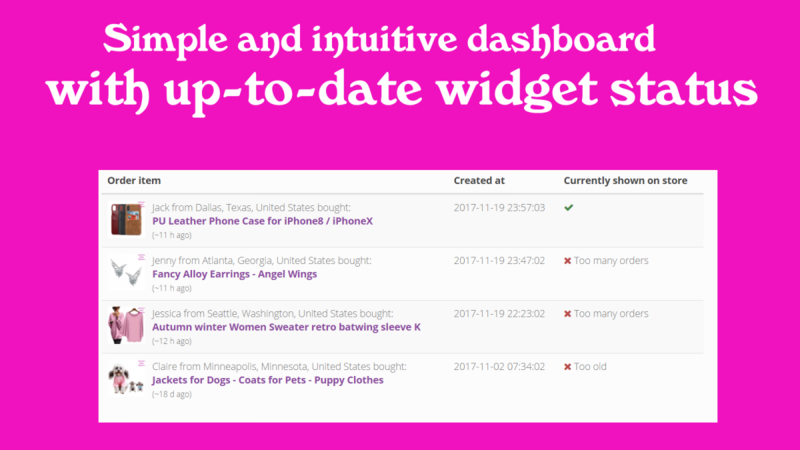 Automatically updates orders in real time. Why do you need Awesome Social Proof Map? Our app automatically updates orders in real time. Set it up once and forget it - the app will work instead of you, for you. 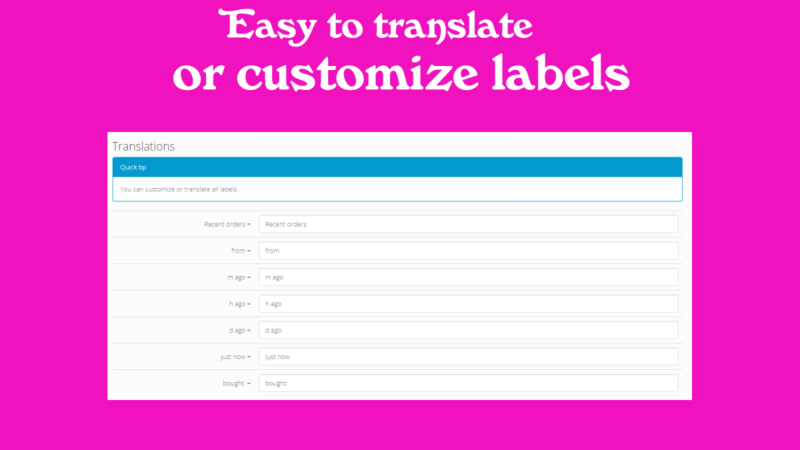 all labels - translate or change them. You sure can - see screenshot below. Yes, we do - we offer a 7 day free trial. Do I have to configure a map or get an API key? No, you don't have to do anything like that. Just install it, choose colors and you're ready to go. Also, if need help with setting it up - just email us at support at awesome store apps dot com and we'll be happy to help you. Email us at support at awesome store apps dot com and we'll be happy to help you.